There are some pretty amazing ancient buildings in this small town and the BBC television series 'Lovejoy' was filmed here. 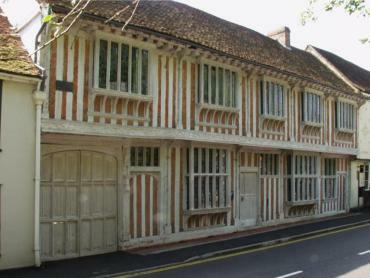 This 16th century timber-framed house, situated in West Street, is one of the most interesting buildings in Coggeshall. It was built around 1500 by John Paycocke, a prosperous wool merchant, as a wedding present for his youngest son. The interior is wonderfully panelled and the ceiling beams are richly carved. The garden is planted in keeping with the age of the house and the house and garden are open to visitors. 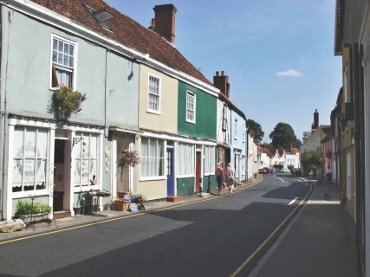 East Street - one of Coggeshall's picturesque narrow streets. This street runs from the town centre out towards Colchester. 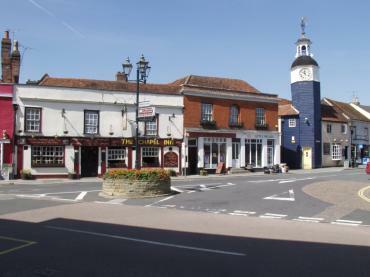 Following this street back into the centre of Coggeshall and out on the same line leads into West Street where Paycocke's is situated. 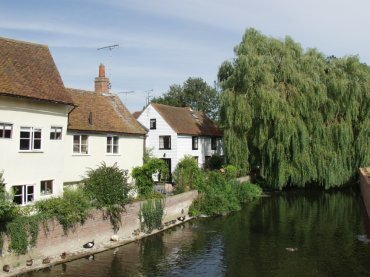 This small river is the same one which is nearly two miles across at its mouth at Bradwell near Maldon and the two points are separated by only 12 miles as the crow flies. This is the view from King Stephen's Bridge. The Grange Barn is only a few hundred yards from here. Bluebells (Hyacinthoides non-scriptus) in Chalkney Wood. Chalkney Wood is about 5 miles North of Coggeshall near Earls Colne and is open to the public at any time. We visited near the end of April which is when these pictures were taken. 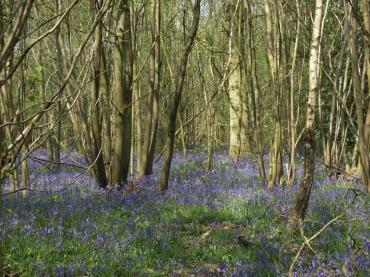 The Bluebells are probably not at their best until later in May and may look even better then.